Loosely inspired in a true story but played on a map that's not Chechnya and against rebels who are not Chechen, the second installment of the Small Wars series. Yesterday evening, a small maintenance convoy part of a maintenance company took a wrong turn at the town of Zelenogorsk while in transit through main supply route "Irina" (MSR Irina). 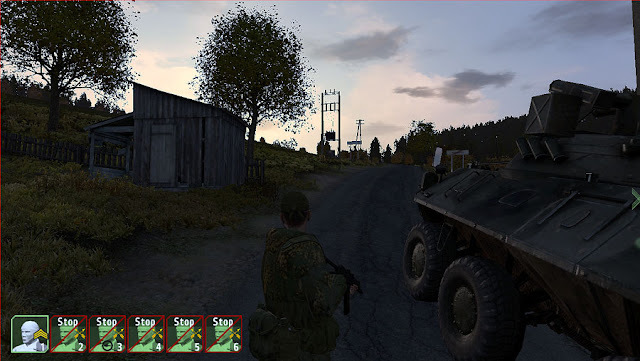 The convoy leader realized of his mistake near the village of Myshkino. So did the local Chechen rebels who fired some potshots at the trucks, more annoyed than willing to put up a real fight. 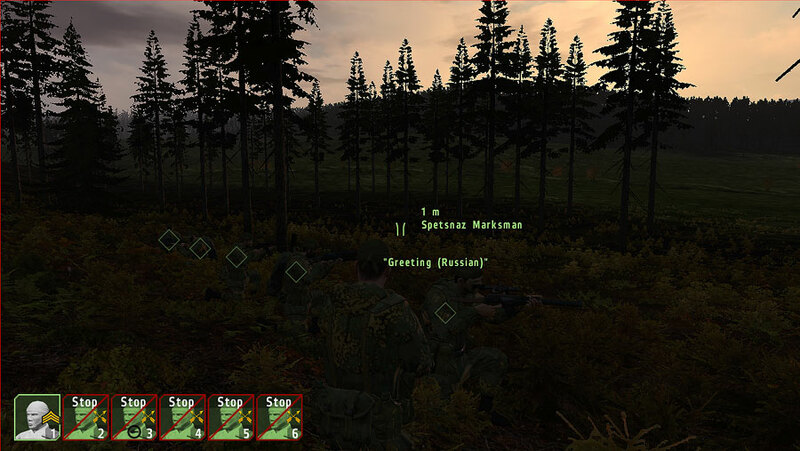 An hour later, a Russian security patrol (infantry platoon [-] reinforced with a BTR-90) was sent to find out the lost, whom they did find ... Along with Chechen reinforcements who in a totally different state of mind than one hour before were threatening the village of Myshkino from the four corners. 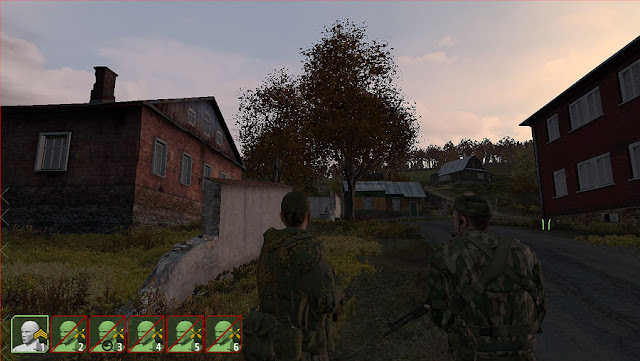 The Chechen rebels didn't attack during the evening as the daylight started to disappear. 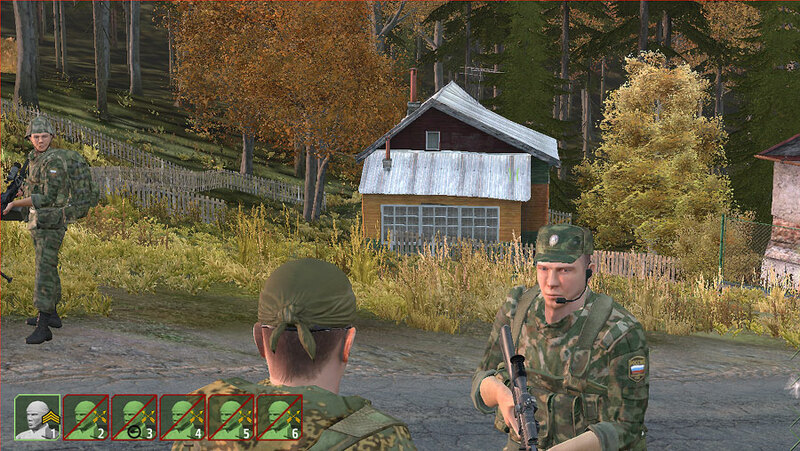 I am in command of a 6-men Spetsnaz group, and our mission is to infiltrate into the Myshkino village and assist the ex-filtration of the security patrol, the maintenance soldiers and the BTR-90. The battalion commander is particularly furious at the possibility of this APC falling into rebel's hands, so our mission includes getting this vehicle back into friendly lines or (worst case scenario) blowing it up so the rebels can't use it. 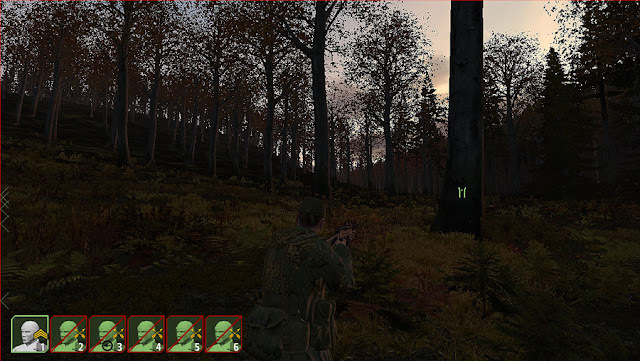 I am playing this scenario in singleplayer mode. The positions of the Chechen patrols are randomized for a 500 meters radius and the patrols will assist each other in the event that one of them is engaged. After our insertion at 0520, we move one kilometer or so, northwest, and we find that big open in the woods (background of the image). It's dawning and visibility is getting better. The clear is not a good place to move through and we have to skirt the clear terrain by moving in a southeast direction under the cover of the woods. My AI team is ordered to hold fire. If we prematurely engage any Chechen patrol, other rebel patrols will arrive to assist. Because I don't know where the hell the enemy is, I make sure that every squad member is scanning a different part of the battlespace. After our detour to avoid the clear terrain, we resume our movement towards Myshkino, now on a northeast direction. That cut in the ridge offers a direct path to Myshkino and is a great visual reference for our movement (better to have the eyes in the sights and not on the map or compass). We avoid the low terrain in fear that we may get into an undesirable crossfire from each side of the cut. Halfway to the top of the ridge is the right place to move through. Approaching the village. Being on point is exhausting. Even when we are literally meters from our fellow soldiers, I am still fully alert in case some Chechen may jump from anywhere. We have now reached the town and I am conferencing with the squad leader of the security patrol. His men are green as grass, this is not going to be fun. 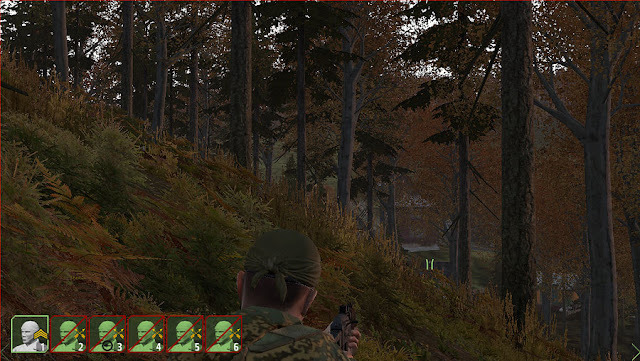 A last look at the surroundings of Myshkino, before I start to recon our exit route. The town is in low terrain which can be observed from all around forest. Looks like you've got your work cut out for you. At least you have the BTR to amplify your firepower. 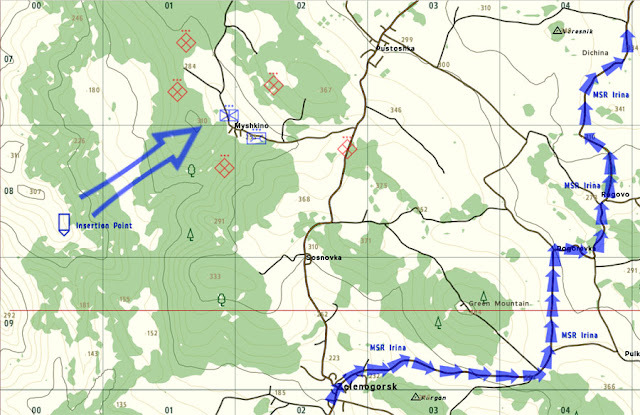 I hope you're running Zeus AI or ASR AI, otherwise that BTR's going to get hit hard and fast from a long distance. Are you using the high command module to order the other units around? Damn it! I need either of those. I have Zeus in OA but not in ArmA 2. 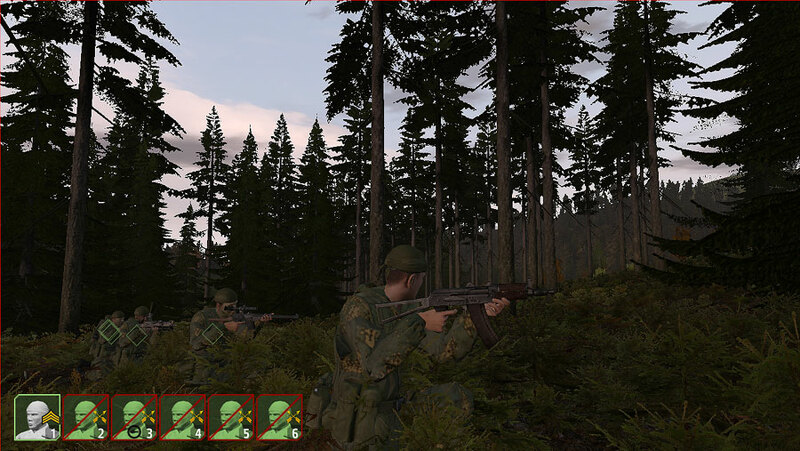 Does it work in ArmA 2 too? Do I need to install it in the game folder or can I just edit the shortcut? My advice, run your game in Combined Operations. Zeus should run properly on either, although ASR seems to be the one that's more useful and wide-ranging. 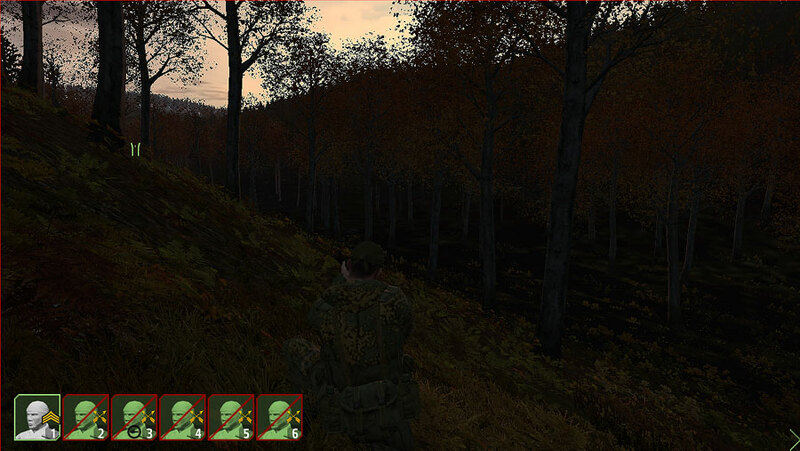 I played it this evening with the Zeus mod (in ArmA 2, though). Mod ran well. The fight was not pretty. :) AAR coming soon.